Is your bf a gamer? Girls all around the world are annoyed and disturbed by their boyfriend game’s which they’re playing all the time no matter how important any moment is, they still are playing games. So today we’re going to share the reality of gamer boyfriends with you all. 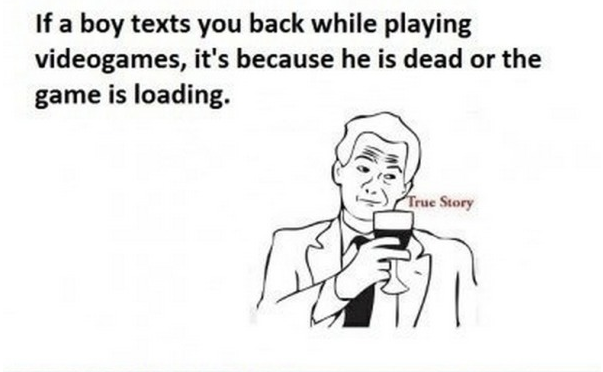 If he’s not replying you back then he probably is lost into his game. So stop bringing these thoughts of him cheating you. Although not all boys are into Call of Duty but 99.99% of them are so if you want to catch his attention then start playing Call of Duty.